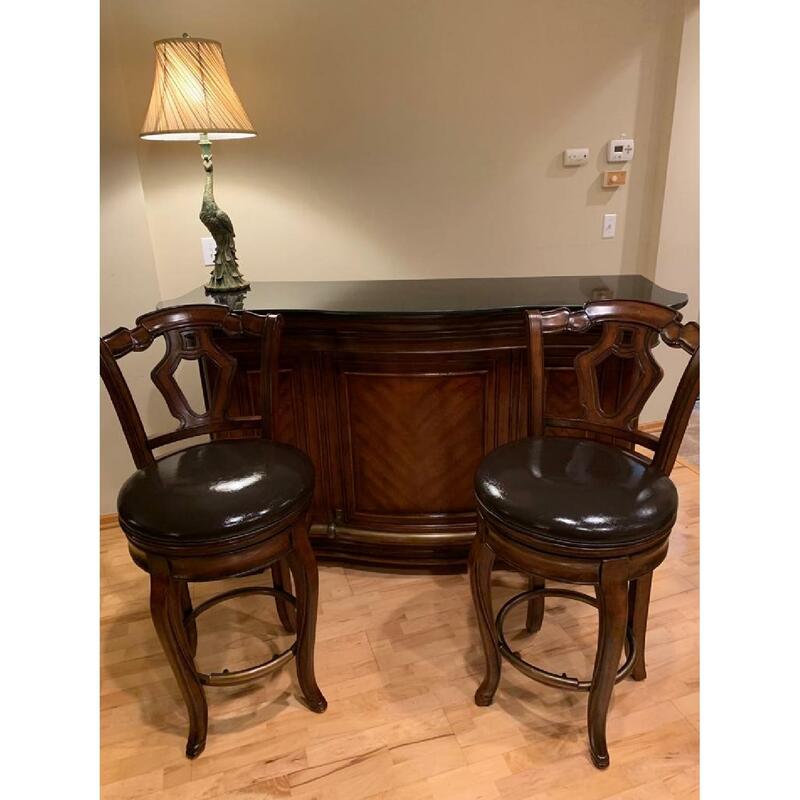 A sparingly used excellent quality bar with bar stools for sale. 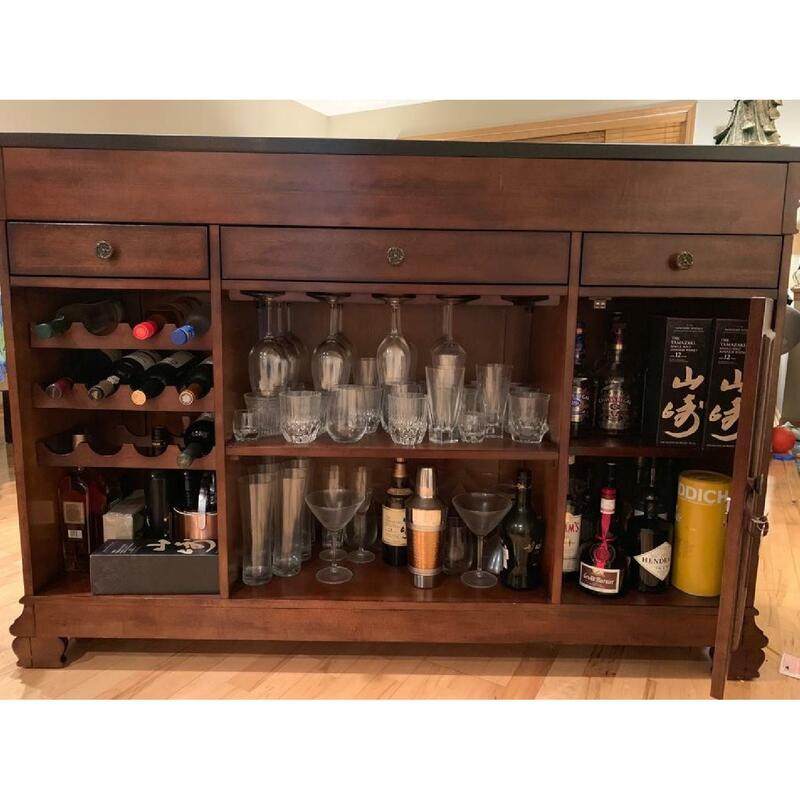 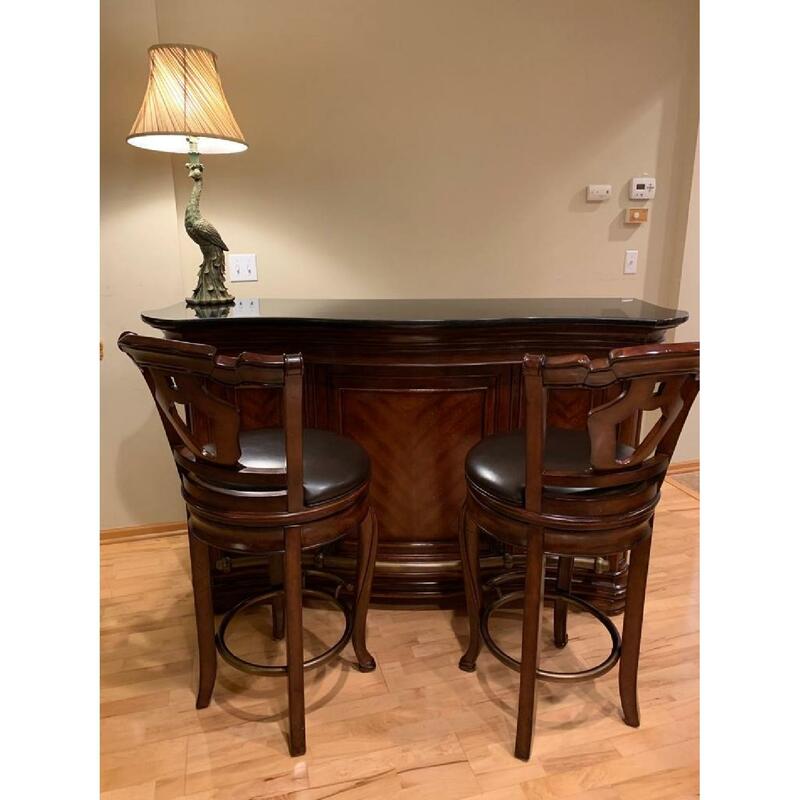 Bar top is real granite with 3 pullout storage drawers, wine rack, storage for stemware and a separately lockable compartment for decanters and bottles. 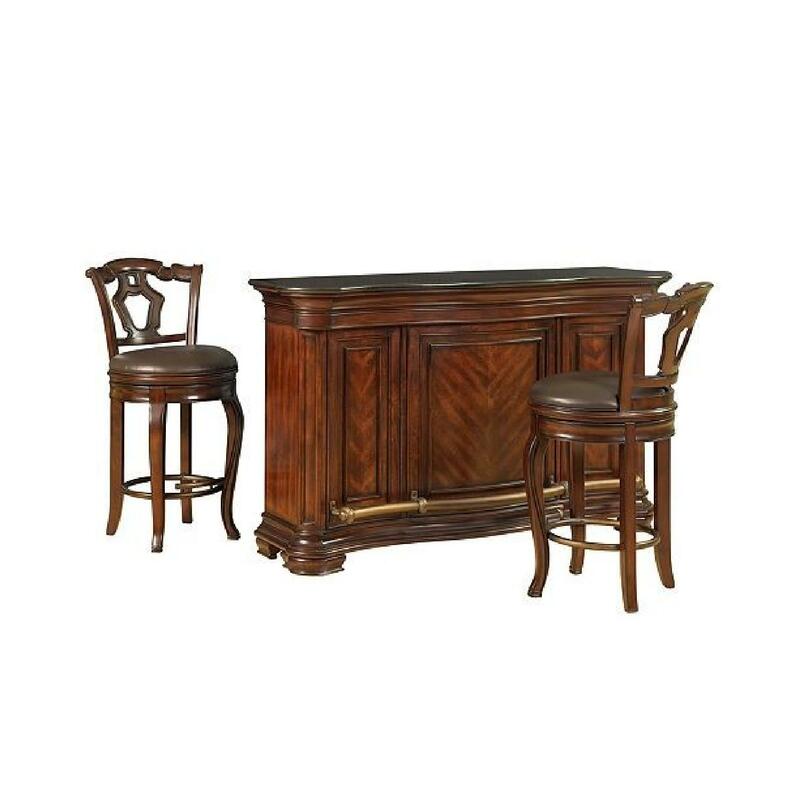 The bar stools are made with real wood and real leather. 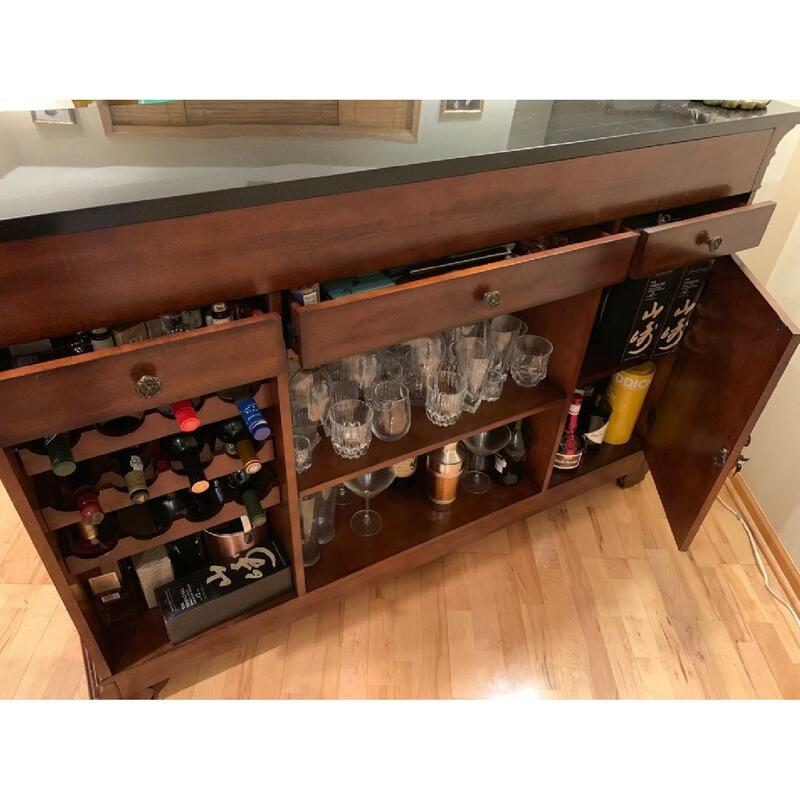 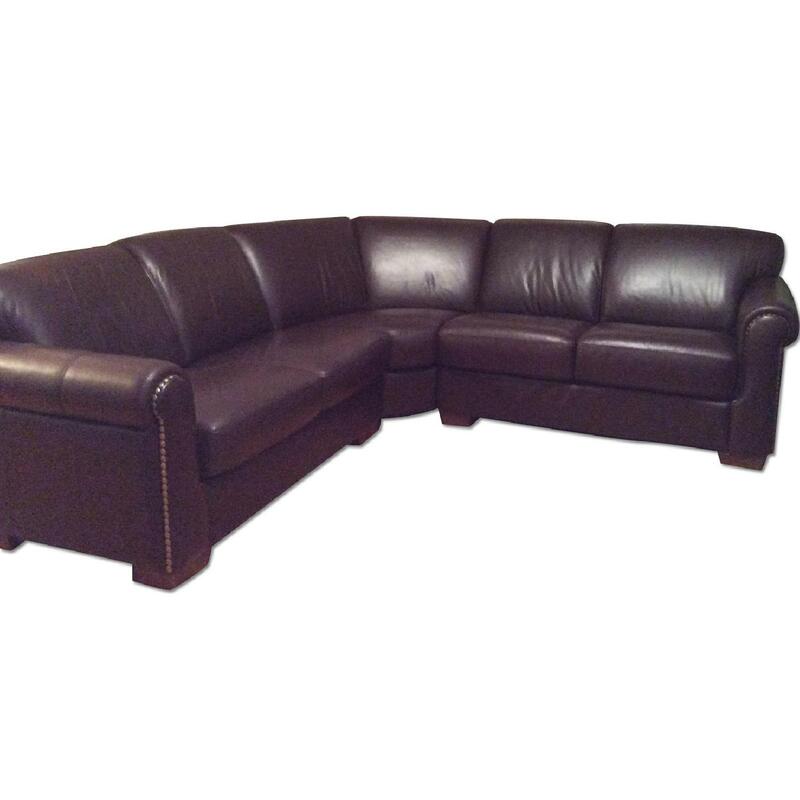 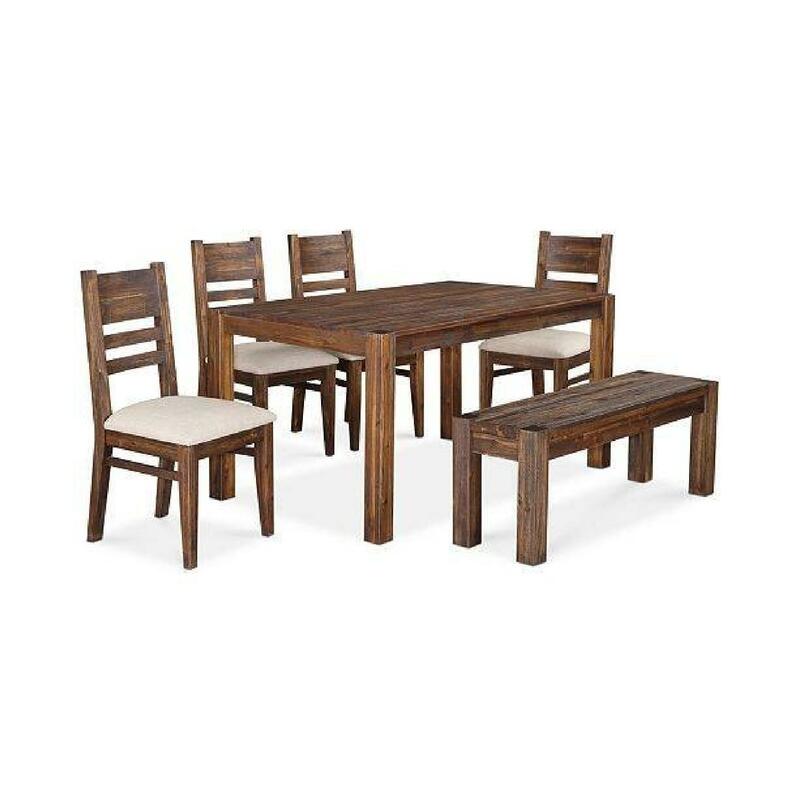 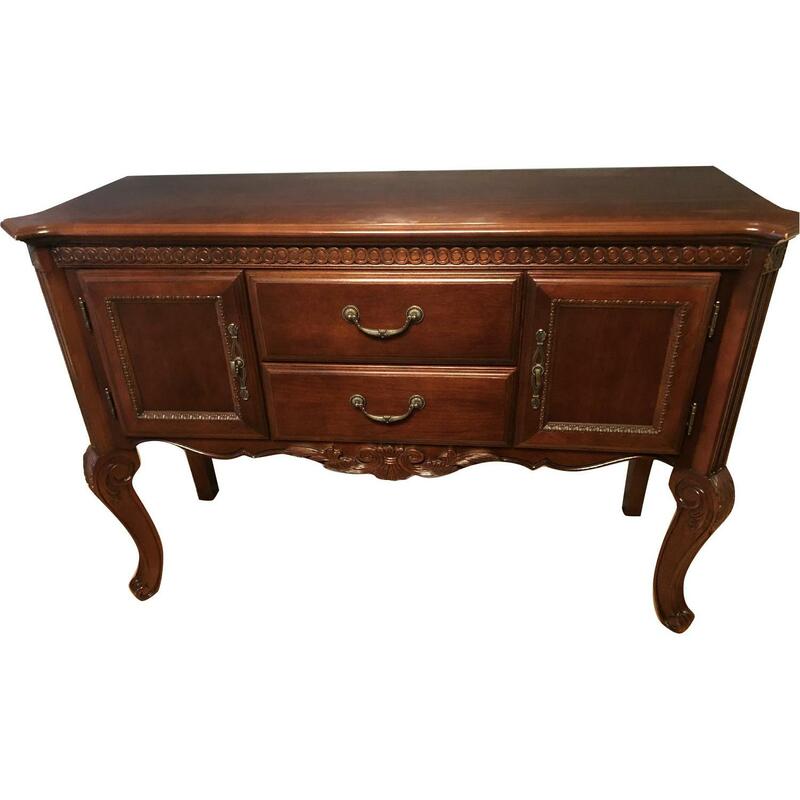 Originally bought from Macy’s Furniture Gallery for $1500, receipt available. 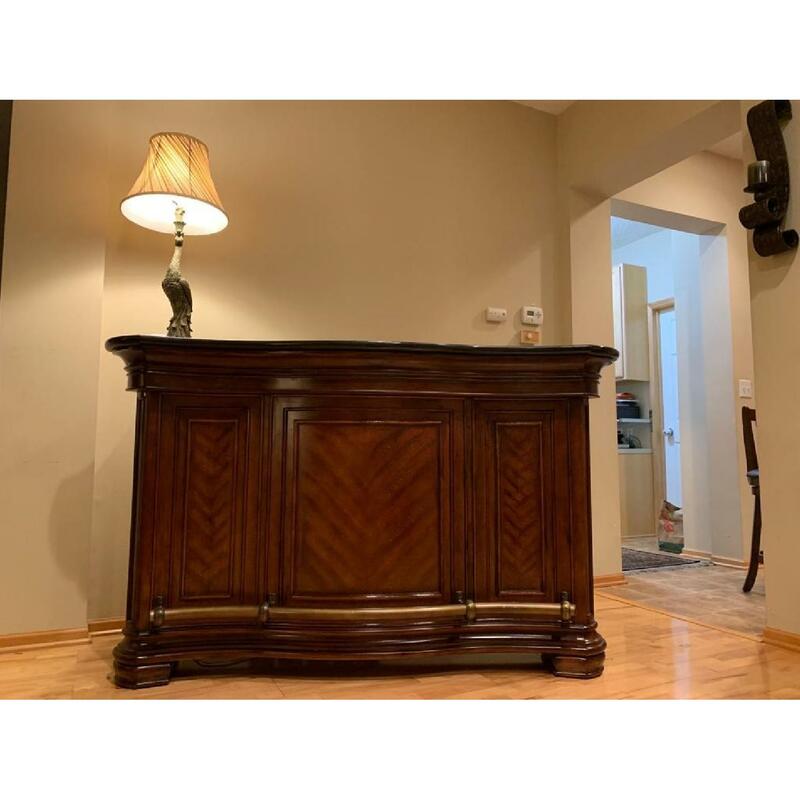 Can be yours for as low as $1000 or best offer.